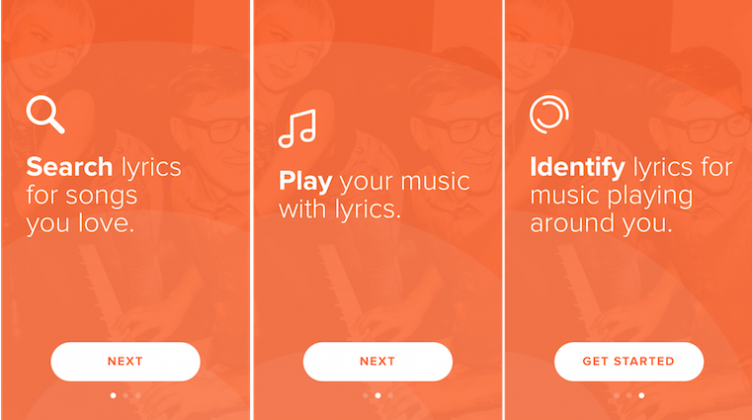 Musixmatch is a great app that provides over 7 million song lyrics in 32 different languages. Founded in Bologna (Italy) in 2010, it is able to find exactly the song lyrics you are looking for, providing it on your favourite devices (smartphones, tablets, computers or TV). It is completely free and legal, as it has been authorized by the main international music publishers. This brilliant app can synchronise lyrics with music being played even from our personal music archive. The only thing to do is to launch the app, and then it will display on our screen the lyrics floating while you are listening to the song. 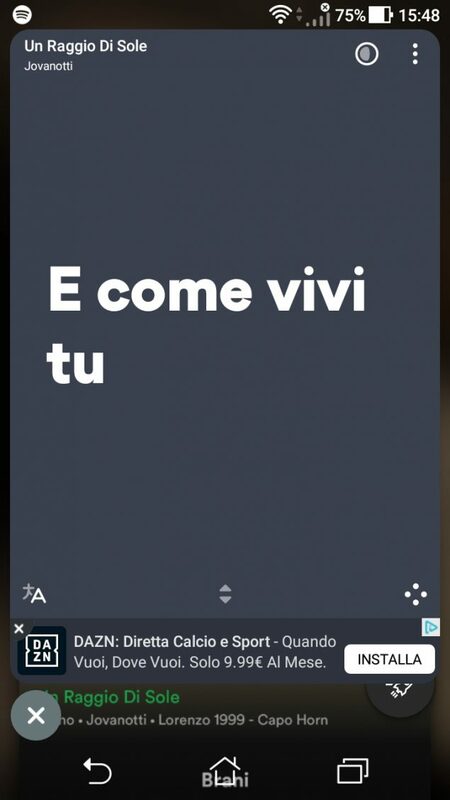 We recommend to download this app because it will allow you finding all the Italian songs lyrics you want, helping you to improve your Italian language skills by listening to some of the most popular Italian music while reading the lyrics at the same time, so that you can compare the pronunciation with the written words. Learning Italian through songs lyrics could open a wide window on Italian culture, a way to get closer for example to Italian tastes, thoughts, politic and social aspects. But mostly, music helps you to memorize concepts and words that you will remember for a very long time. If you continuously listen to Italian language songs and read the corresponding lyrics, you will end up learning them by heart. Besides this, singing improves pronunciation, as you will tend to imitate the sounds and the intonation, while learning how the words are written. This will mitigates your Italian accent, even if it requires a little more effort at the beginning! Most songs use colloquial words and expressions that are not normally learned when study a language. 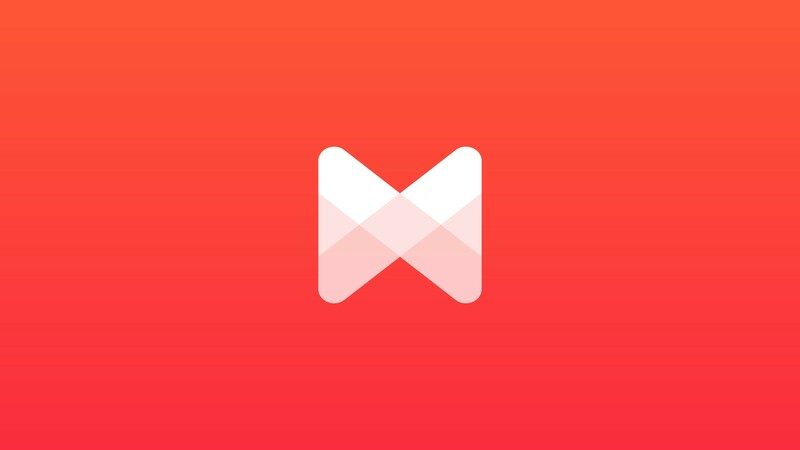 If you are curious enough, with Musixmatch you can see also the translation of the lyrics, it will expand your Italian vocabulary and your knowledge of Italian idiomatic expressions. Today, you can bring music anywhere on your phone, so with this incredible app every moment is right to practice Italian through songs. The obstacle for many people approaching to Italian songs for the first time is that the most popular and catchy songs have difficult lyrics, but with our selection of the best songs to learn Italian you can choose between a great variety of Italian artists and music and find something suitable for you! Sing the song while reading the lyrics and enjoy! My Music: here you find your personal playlist on your smartphone; click on song and sing the text which is floating with the music! 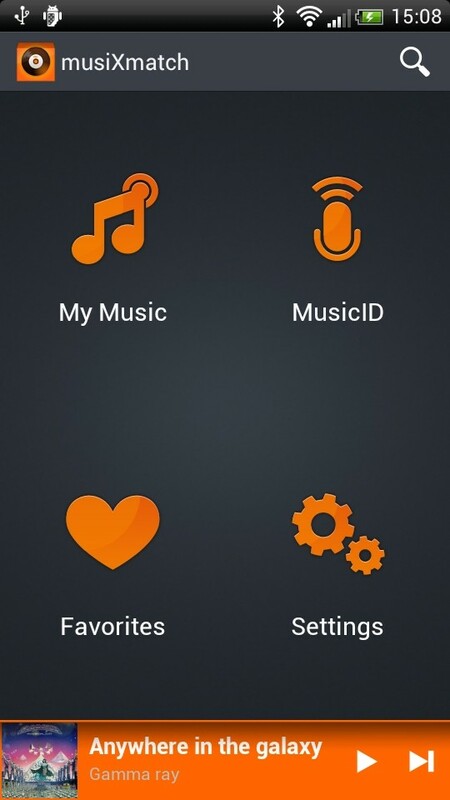 MusicID: it will allow you to find the lyrics of a song you are listening on the radio, just like Shazam, the app which identify the songs titles. Favorites: it has all your favourite lyrics, all you need to do is to click on the heart icon when you like the lyric you are reading. Settings: it contains some options, such as change the font of you lyrics texts, or decide if you want to see the album cover of the song. Related artists, or similar artists for musical genre or based on users preferences. You can free download this app for Android and Apple iOS, Windows and Youtube. You can download the Musixmatch Chrome extension, click on the icon on the toolbar and launch the extension, and then the lyrics will be directly added to the video you are watching. Thanks to FloatingLyrics™ for Android, you can connect the app to your Spotify account. Tap “Log in to Spotify” if you already have a Spotify account or “Sign Up to Spotify” if you need to create one. Then, tap “Music Services” > select the “Connect” button. Tap “Log in to Spotify” if you already have an account or “Sign Up to Spotify” if you need to create one. To connect your account go to Settings > Spotify and follow the instructions. You can disconnect your account whenever you want by going onto Settings > Spotify > Logout. I have musixmatch installed and I’m loving it so far. This app has really helped me recognize and pronounce some Italian words. Thank you so much for sharing.